The Wiener Werkstatte, 1903-1928 : The Evolution of the Modern Applied Arts. 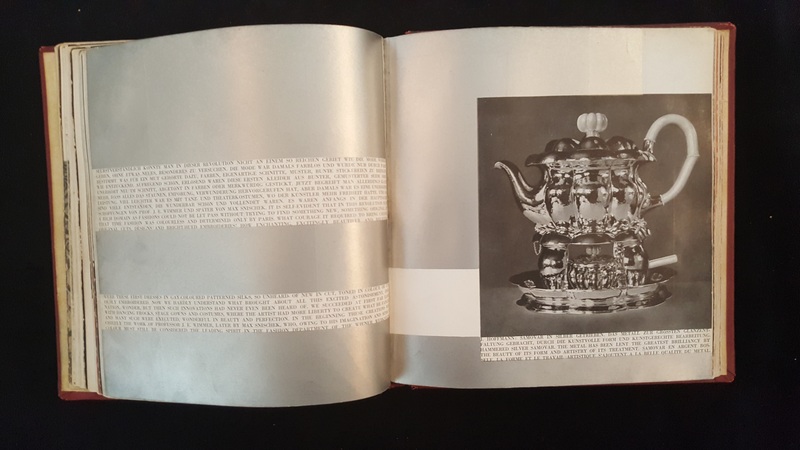 This beautifully illustrated English version of the German Die Wiener Werkstätte, 1903-1928 : Modernes Kunstgewerbe und Sein Weg, commemorates the artists and design of the Wiener Werkstätte - a production community of visual artists founded by Koloman Moser and Josef Hoffmann which was active in Vienna from 1903 to 1928. 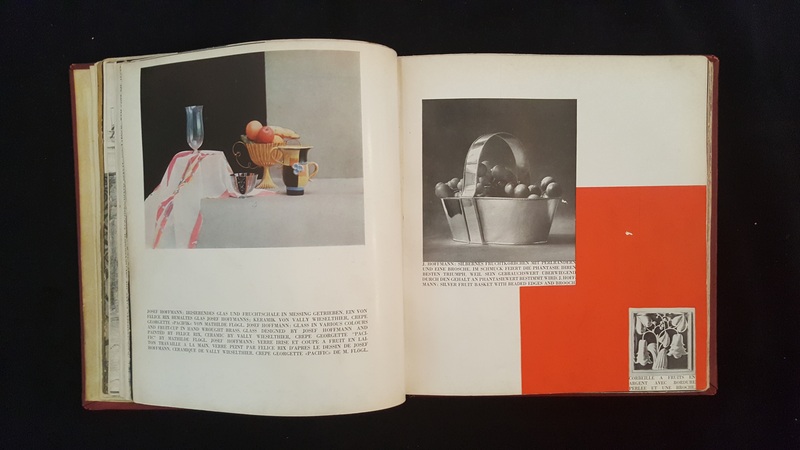 The book is an artistic novelty, or "Kachelband," designed by Mathilde Flögl (1893-1950), inspired by Hoffman and incorporating innovative use of typography, layout, and bold colors such as gold, silver, red, and black. 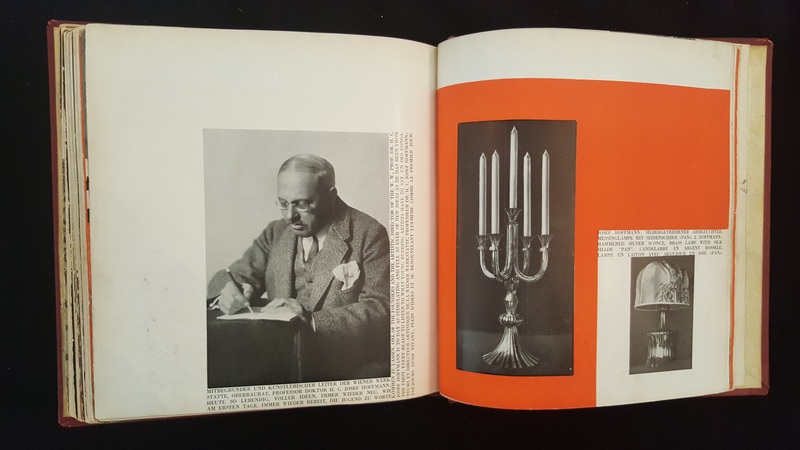 Numerous images illustrated the designs of Wiener Werkstätte artists Josef Hoffmann, Gustav Klimt, Franz Cizek, Dagobert Peche, Mathilde Flögl, Julius Zimpel, Kitty Rex, Koloman Moser, and Franz von Zülow. This book has an early 20th century publisher's binding bound in maroon bookcloth. The spine is separating in the gutter of the front board. The head and tail of the spine have areas of loss. Conservators will re-back the volume using toned airplane linen to complement the original bookcloth. A custom enclosure will be created to house the book after treatment.